Looking for the best way to translate and record audio in another language for business purposes? Whether you’re looking to record a voice-over in a foreign language for eLearning videos or to create an automated phone attendant, we’re here to help. Many businesses that are focused on their bottom line will come to us looking for the best way to record audio in another language, after realizing traditional audio voice-over was more involved and costly than they expected. After looking at the cost of hiring a multilingual voice artist paired with the need for a specialized translator (many of our customers work in technical fields), many times the cost can be prohibitive. 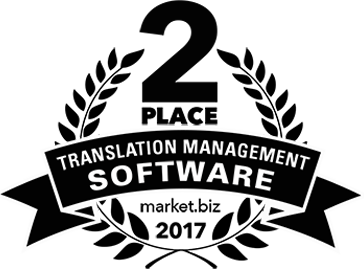 As process improvement technology experts in the translation industry, we continuously strive to develop the best approaches that help businesses and professional translators save time and money. Not only this, but we are dedicated to helping them make their translations reusable for their future projects. We’re here to let you in on the process we’ve developed for these businesses. 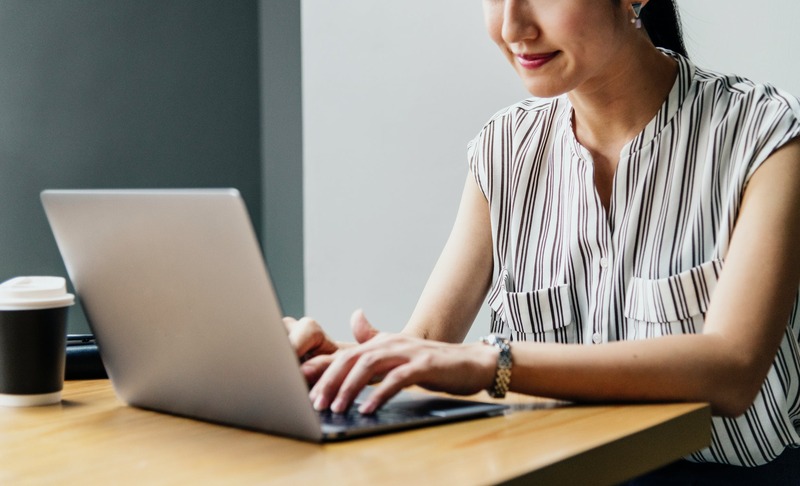 This includes steps that comprise the best way to translate and record audio in another language for eLearning, automated phone attendant and your Help Center. Please note this process will generate synthetic voice-overs. The best way to translate audio into another language is to start by getting your hands on the typed script in the source language. If you need to create it from scratch, or if you already have the script typed, skip to step #2. Working with existing audio and no script is available? You will need to have the audio transcribed, or use an automated transcription tool that will transcribe the audio for you into text. Note that transcription tools aren’t perfect, and you will need to make some edits to the script after using them. Please also remember that you need to check the terms and conditions of any transcription tool you use to make sure they protect your data to your company’s standards. The next step of the best process for translating audio into a foreign language is to enter the text into an Excel spreadsheet. This is because it will give you control over the length of each spoken line of text and pausing. And it will make each cell into its own audio file for you, which gives you flexibility when inserting the audio into your final media project. If you want a longer pause after a sentence (say you’re about to move on to talking about a new concept), that sentence should be placed in its own cell. Start with cell A1 and work downward, staying within that column. Likewise, if you need bigger pauses between spoken lines of text (such as when you list bullet points), you would use a hard return right before the beginning of the text in each of those cells. Don’t forget to strip out any comments or instructions from the file. The file should only contain the text that needs to be translated and audio output. A quick recommendation for software with these components is the solution we developed for businesses. Pairaphrase starts at $125 per month, which is less than the cost of producing traditional high-quality translations by hiring voice-over talent and a specialized human translator without using a productivity tool. Once you have received a first-draft translation of your script file, it’s time to improve the quality. Translation software is smart, but it’s important to remember that it uses machine translation. After all, it’s a computer–not a human! You’ve already saved a ton of money and time on your audio translation project just by following steps 1-3. 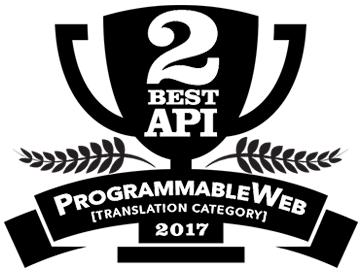 But in this step, you do still need a bilingual colleague or professional to review and make edits to the machine-translated script. If you don’t have a bilingual colleague, you can hire a translator to review the translation and make edits. And since the translation software took care of the bulk of the translation, they won’t need to spend as much time as they would if you didn’t use the software. Which means step #4 also yields cost savings for you. 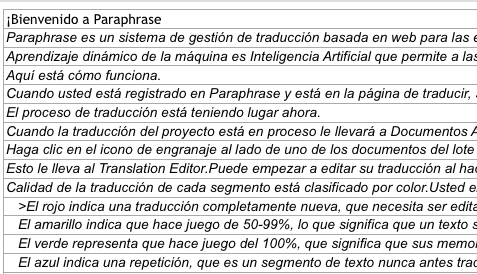 The good thing is that with professional translation software with Dynamic Machine Learning and Translation Memory, you can train it to remember higher-quality words and phrases as you’re editing it. This means that any repetitions across your file or a batch of files will be replaced with that higher-quality translation. And in the future, it will be automatically populated, since it’s stored in your Translation Memory. Step #6 is going to involve a computer speaking out your script text, so first, you need to make the typed script computer-friendly. This involves changing the spelling of certain words to get the proper pronunciation. Otherwise, it can be mispronounced. For instance, if you have the proper name “Pairaphrase” a computer will pronounce it “pair a phrase” including slight pauses that make it sound like it’s three separate words. To fix this, you would write “paraphrase” instead. It takes some playing around, but it’s pretty simple. Once you’re done editing translations, the last step of the best way to translate and record audio in another language is to download the audio files. Audio files come in .mp3 and .wav formats, so you would download the type of audio format you need for this specific project. Pairaphrase gives you both options, as well as options for male or female voices. Are you ready to save time and money on your business’ audio translation projects? Try Pairaphrase. Our software streamlines the entire translation process and is the #1 way to produce voice-overs and other audio clips. You’ll save more than 50% of the cost and time it usually takes to produce high-quality audio translations. Browse our plans to find one that suits your translation needs, or request a free demo today!